Info-Maison Bardagi.com/1839 Spacious third floor unit perfectly situated, facing Ste-Madeleine Church, steps from Outremont metro station, stores of Van Horne Ave. and renowned schools. Well maintained co-ownership offering large rooms and renovated bathroom. 9'ceiling, garage and storage unit. Perfect for a family! Third floor: Entrance hall with closet. Large living room with decorative fireplace and open onto the den. Adjacent dining room with two built-in dressers. Kitchen with many storage spaces and adjacent solarium/storage room. Master bedroom with two closets and access to the bathroom. This unit offers two more bedrooms, each one with a closet. The bathroom has been renovated and features a bath and a separate glass shower. Heating floor in the bathroom. 9' ceiling. Front balcony (6'x 9'). Garage and storage unit (basement). Exclusive use of the roof with possibility to built a terrace. Minimum down payment of 25%. Taxes, gas fees and insurance are calculated based on the part of the unit. 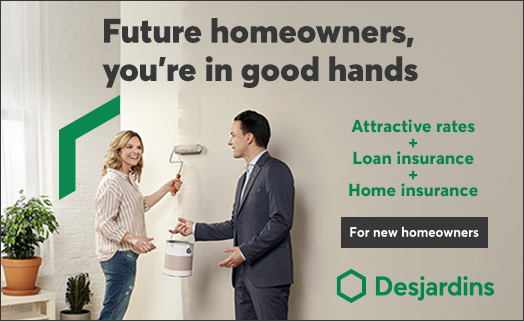 he institution for the mortgage financing will be Caisse Populaire Desjardins d'Outremont. The acting notary will be chosen by this institution. Right of first refusal: A co-owner seller should submit any bid accepted to the other owners, which shall have a period of 7 days to notify the owner seller of their intention to acquire its share in the same prices, terms and conditions as those contained in the accepted offer, otherwise, the seller owner can comply with the accepted offer. Light fixtures, curtains, blinds and rods, stove, alarm system and water-heater tank. All of the above are included without warranty of quality. Refrigerator, washer, dryer and dishwasher.